Here is a very special offering for the A.P. 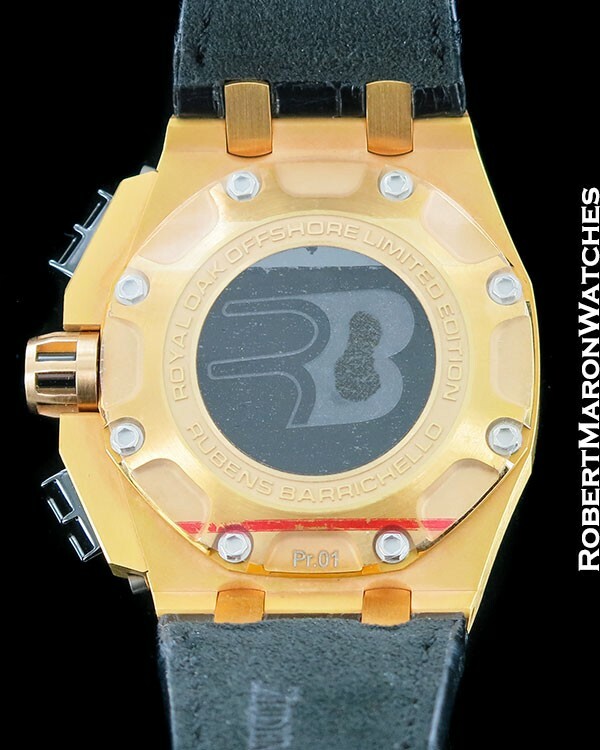 collectors: the Rubens Barrichello II rose gold prototype watch bearing serial number Pr.01. The “Pr” naturally signifying “Prototype”. 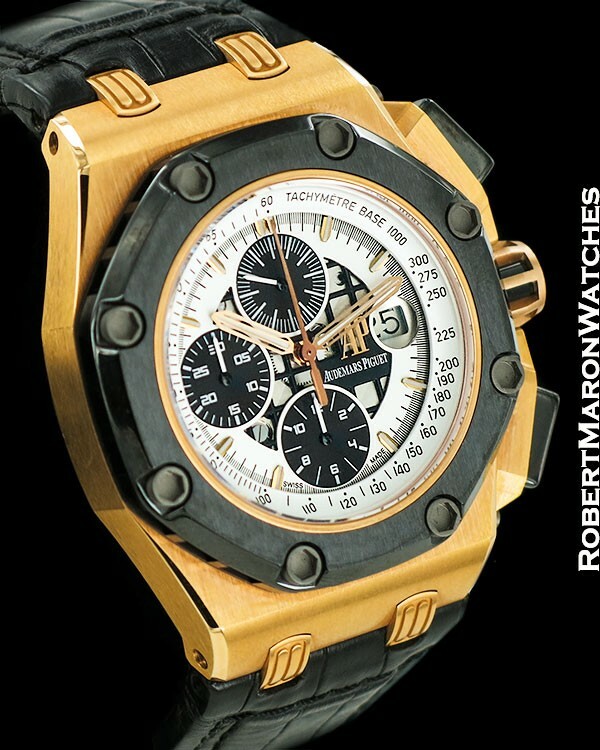 In fact, looks are deceiving, because this is a stainless steel case which Audemars plated in rose gold. 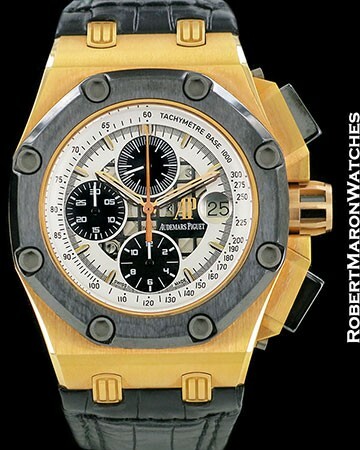 The watch received a full service from AP and is accompanied by AP documents specifying that this watch is a prototype. Case is the same massive 44mm as the production model, with the same black bezel and chronograph pushers and sapphire crystal. On the case back center, where the ‘RB’ is, on this watch the ‘R’ is black and the ‘B’ is grey whereas it is reversed on the production model. White and black and partially skeletonized dial with applied hour markers, rose gold hands and date window at 3 o’clock. The classic Royal Oak Clous de Paris dial decoration is seen here only in the square lattice pattern, beneath which the movement can be seen. 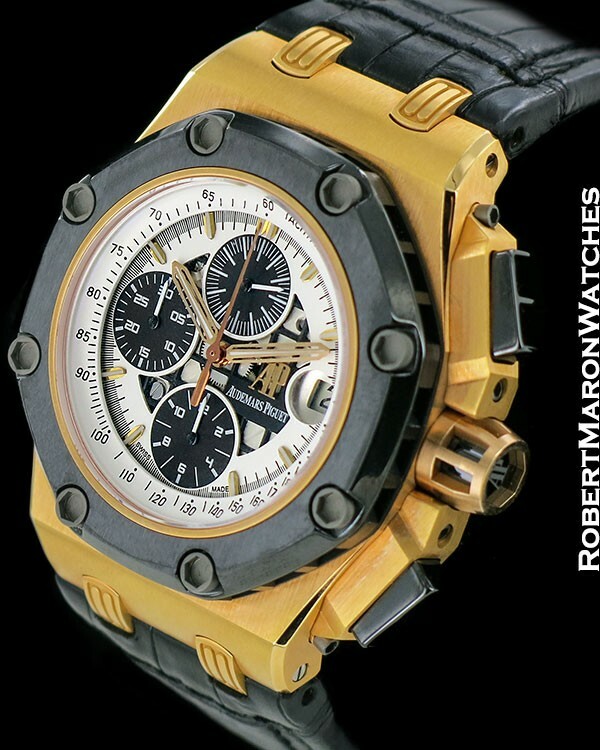 Automatic winding Audemars Piguet chronograph caliber working as it should. Strap is the same as the production model, black crocodile with soft suede on the inside surface. Rose gold plated AP deployment clasp. 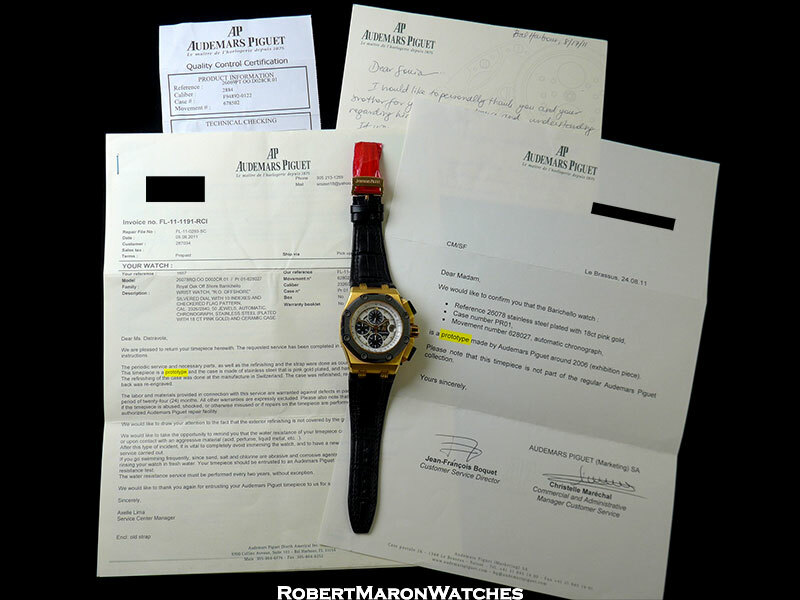 This fascinating collector’s watch is in new condition and shows no sign of wear.